THERE has been a massive influx of money into the Sierra Nevada over the last year bringing in a string of new restaurants, wine bars and tapas joints. There is even a brand new Asturian-style Sideria, where the waiters do the classic over the shoulder pouring of northern Spain’s finest. The real plaudits however must go to the group behind Tito Luigi, who have turned their recently-expanded Italian into a stylish blend of classic and modern architecture, in line with their hip opening last year of Tito Tapas. Contemporary and cutting edge, the beautiful space, with its historic ‘cave’ at the back, counts dozens of famous guests including the former king. On the walls lies the photographic evidence that the long-standing joint has provided good food and ambience for the last quarter century. There is a great range of pizzas, salads and pasta dishes, with my current top pick: the amazing squid-ink spaghetti with prawns. On the subject of institutions, look no further than La Lonja, which is a great place to eat seafood and the selection of marisco is impressive and there are always fresh lobsters waiting to be cooked. 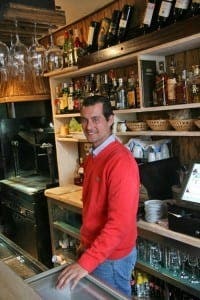 Three decades serving skiers, boss Antonio began life as a waiter in Granada, and counts another restaurant in Sanlucar de Barrameda and unsurprisingly stocks its famous langoustines. 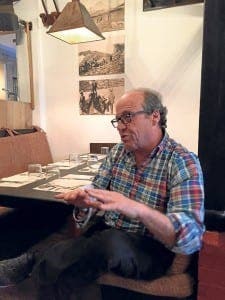 Another long term fixture is Bodega Casablanca, next door, run by Jose Carlos Villanueva, who grew up on the slopes, with his father opening one of the first hostals in the 1960s. The food is great, real heart-warming soul food, including great lentils, as well as prawns wrapped in potato with a soya mayonnaise and lovely lamb chops with whisker-thin wild asparagus. Another superb institution, regularly number one on Trip Advisor on the slopes is Antorcha, which sits by the Kenia Nevada hotel. 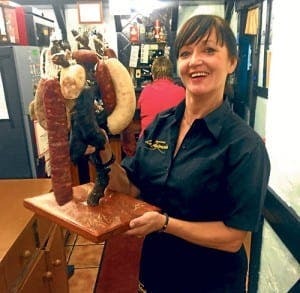 Run by Antonio and Maite for a decade, each table gets its own ‘sausage tree’, while its speciality of the house is the ‘hot and spicy platter’ on which you can cook your own rump steaks, up to 400gr. 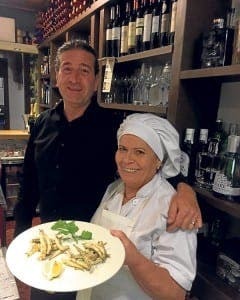 Another popular and successful spot is La Muralla, run by brothers Luciano and Gonzalo, which is rarely empty and has some of the resort’s best tapas and excellent wines by the glass. Apart from the amazing steaks, a real highlight are the ‘tostas’, which come in various guises and a milhoja of foie gras. 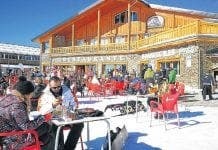 The brothers meanwhile have another excellent spot Las Gondalas, right in the heart of the town and perfect for some apres ski light bites, a hot drink or a beer. 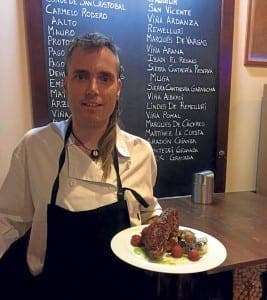 Without a doubt though, the most consistent place to eat in the Sierra Nevada is the brilliant Italian Ci Vediamo, where chef/owner Stevie Silva produces a great Michelin-starred range of food. Silva, a professional snowboarder, just gets better and better, thanks to help from his talented team, including Austrian chef Tomas. An amazing place to eat steak and superb pizzas thanks to his pizza oven, but it is the sushi which most impresses this season. The ‘false’ sushi rolls, with courgettes, seven spices, cress, chives and edible flowers are unmissable, while the superb duck roll with ginger, guacamole, tuna and soy sauce is delicious. There are fabulous mini ‘gambas pil pil’ hamburgers and a lot of the classics such as raclette and provolone with tomato. And this year, the guys have launched a kids menu for just 7.50 euros and English breakfast from 8am! 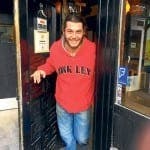 A new chef to watch out for is Albert Iniesta, who previously worked at Ci Vediamo. 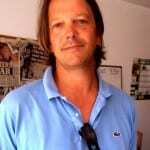 Now installed at the stylish Vinoteca, he learned to cook in Girona and Mallorca, where he turned a failing local into the number one rated restaurant on Trip Advisor for the whole island. And it is not at all surprising, his knowledge of the cookery scene being tip top and his repertoire being wide. A fan of ‘molecular cooking’, which he studied for six months, he has turned his kitchen into a sort of science lab, and experiments with all sorts of foams and fads. Either way his crude tartar of salmon with wakame and sesame seeds was amazing, as was his 52-hour slow cooked lamb. A ‘basil cake’ pudding with apple ice cream, tomato and amaretto was incredible. I was also impressed with the recently-upgraded La Mar Sala, where Carlos has created an ambient spot, perfect for tapas and wines by the glass. This bijoux spot by the Melia hotel counts on some excellent wines from around Spain and the very best seafood from Motril, including boquerones, cigalas and conchas finas. For a great place to eat overlooking the slopes make your way to Tia Maria, which has a good mix of dishes and is a great place for breakfast.